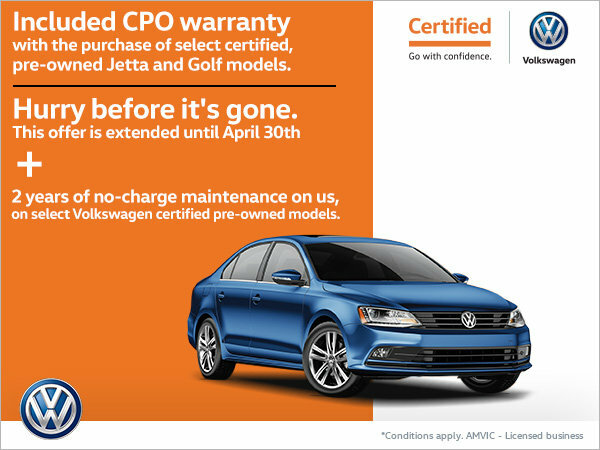 For a limited time only, get an included CPO warranty on select certified pre-owned Jetta and Golf models. PLUS get 2 years of no-charge maintenance on us on other select CPO models. Act fast, this offer ends on April 30th, 2019!